Ever thought ‘Ugh I really need to change my lifestyle’? This is me doing it. Growing up I didn’t even know the term ‘Anxiety’ and wondered why the hell some things scared me senseless when it seemed no biggy for others. I was the person (am the person!) who looks totally confident, has my life together, good at speaking and getting to know people. On the inside I am fighting fear, freaking out, probably didn’t sleep the night before, might be close to a panic attack and will hit a wall later. I was that annoying friend who would bail last minute on get togethers with a lame reason, trust me it pissed me off more than my friends, but some days it was just too much anxiety to deal with. When I am out, if there is one thing I have mastered in life, it is how to fake it. Multiple times I had family and doctors tell me to take up Yoga. Sure great idea, but good luck getting me there! Sports has always been a love for me, and Yoga just seemed too slow and boring. Finally I hit breaking point and had three panic attacks in one week (blog about what they are like for me) my hubby dragged me to the docs and it wasn’t until my doc said ‘What if you have a panic attack when the kids are in the car with you’ that I realized I HAVE to change. I booked in my Mum and I into private yoga classes, as going to a class with others was too scary. That first hour I relaxed more than I had in years. (Blog on the Discovery here). 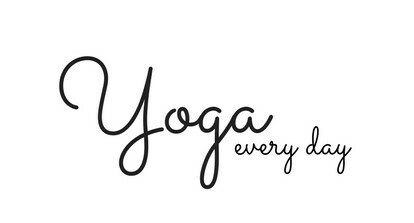 That’s it, I was hooked and realized the massive impact yoga can have on your life. A couple of months later I had one of those lightbulb moments in the shower, and thought ‘I’m going to do Yoga every day for a year’. This commitment felt amazing, it’s something I love, something I need, and something that will change my family and my life/lifestyle for the better. So, why am I blogging about it? I definitely have learned not to take life or myself too seriously, I am however super focused on what I am passionate about, and motivation and enthusiasm run through my veins.